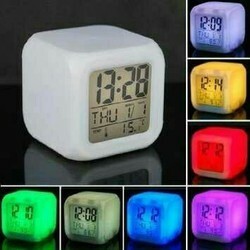 We are Exporter, Supplier and Trader of Digital Desktop Clock. We are engaged in manufacturing and exporting a wide range of digital desk clock. • Shows humidity and temperature with picture of sunny, cloudy, rainy, etc. 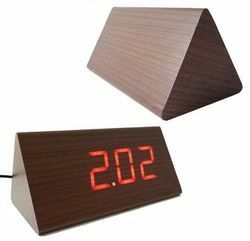 We have gained recognition as an eminent enterprise, devotedly engaged in trading a broad range of Digital Table Clock. We are among the reputed organizations, highly engaged in providing an optimum quality range of Desk Clocks. - digital colorful table clock. We are one of the most reliable companies in this domain and are into offering Ajanta Digital Desk Clocks.